All of our chain products have gone through stringent process measures for Best Quality! This includes heat treatment, which ensuring the optimum ware life and toughness for all component parts. Solid hardened and shot peened precision rollers are standard on most of our chains. The bushings provide a smooth roller bearing effect reducing the impact load as the chain engages the sprockets tooth. 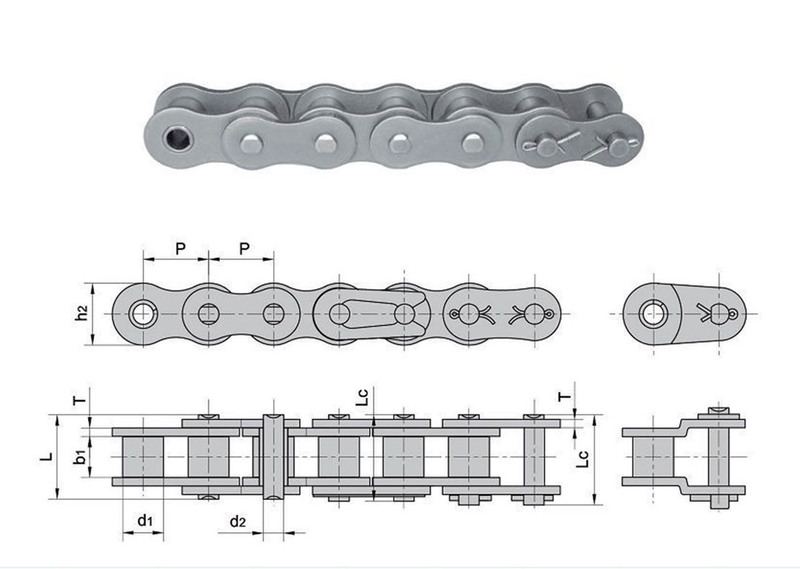 During chain assembly, all chain components are oriented to ensure pins, bushings and side plates are correctly positioned for optimum chain strength and long life. Assembled chains are then dipped in a hot lubricant. This lubrication and the process in which it is applied greatly improve the ware life capacity of the chain and further protect it from the effects of the environment. All of our chains are factory preload. They are pretested to support and maintain the expected load the chain will see when in use. This helps align the chain parts which will minimize the initial elongation. This will drastically increase the life of the chain.